A former CIA officer who revealed the agency’s waterboarding program to the media claims that he was targeted for retribution by some of the same government officials investigating President Donald Trump. 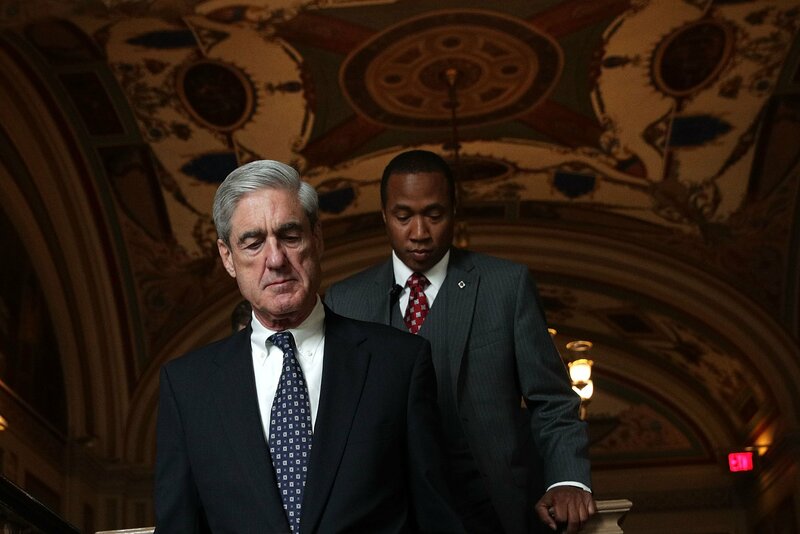 John Kiriakou tells The Daily Caller News Foundation what roles John Brennan, Robert Mueller, and Peter Strzok played in an investigation that he claims was intended to set him up with an espionage charge. Kiriakou claims he was targeted in a sting operation directed by Strzok. “It’s no coincidence that the same people who were implicated in my case are implicated in these attacks against the president,” Kiriakou told The Daily Caller News Foundation. Kiriakou, 54, says that some of his supporters have directly raised the pardon issue with Trump. He resigned from the CIA in 2004 and joined the private sector. After the ABC interview, Kiriakou was approached by numerous journalists hoping to speak with the first former CIA official to go on the record to speak about the CIA torture program. In exchanges with three of those journalists, Kiriakou revealed the identities of two CIA officers, one of whom had helped him capture Abu Zubaydah. Kiriakou maintains that his disclosure were inadvertent and that he believed he was confirming information that the journalists already had. While Kiriakou has expressed remorse for sharing the names with reporters, he and his supporters have argued that none of the officers were threatened or harmed, and no CIA methods exposed. The CIA submitted a “crimes report” after Kiriakou’s comments, but the George W. Bush Justice Department decided against opening an investigation. That changed just after President Barack Obama took office in January 2009. “What we found in discovery was a memo from John Brennan to the Justice Department saying ‘charge him with espionage,'” says Kiriakou. When the Justice Department responded that Kiriakou had not committed espionage, Brennan responded, “Charge him with espionage anyway and make him defend himself,” says Kiriakou. 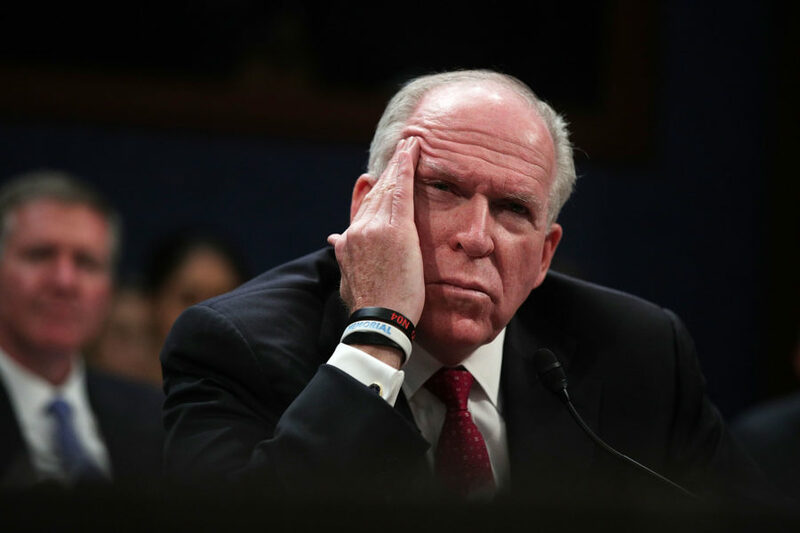 Years later, as CIA director for Obama, Brennan played an early role in the investigation of possible links between the Trump campaign and Russian government. Brennan’s Kiriakou memos have not been made public. Kiriakou says they were provided to his attorneys solely for his case and returned to the Justice Department. Kiriakou was aware that he attracted scrutiny following his media appearances but believed he faced no legal jeopardy. After a stint in the private sector, Kiriakou took the job with the Senate Foreign Relations Committee, which was chaired at the time by then-Massachusetts Sen. John Kerry. It was in that role that Kiriakou says he was targeted in the FBI sting attempt. Kiriakou says he reprimanded the diplomat and reported the incident immediately to the Senate security office. Days later, two FBI agents contacted Kiriakou and asked him to maintain contact with the diplomat and to arrange another lunch meeting. Kiriakou had four other meetings through April 2011 with the diplomat, summarizing all of them in detailed reports to the FBI. Kiriakou recalls the day that he first met Strzok. “It was the worst day of my life,” he told TheDCNF. Kiriakou says he got a call from one of the FBI agents he had worked with on the Japanese diplomat case. “You remember you helped us with that case about a year ago. Well we have a similar case, and we need your help,” Kiriakou recalls the FBI agent saying over the phone. As The Washington Post reported on Aug. 13 in a profile of Strzok, the Kiriakou investigation helped cement the FBI agent’s reputation in the bureau. He would become better known — infamous, perhaps — after helping lead the investigations into former Secretary of State Hillary Clinton’s private email use and possible collusion between the Trump campaign and Russian government. Strzok oversaw the latter investigation, which operated under the code name Crossfire Hurricane. Kiriakou was arrested the following Monday. Strzok was the agent who handcuffed him. “What they did was they played on my patriotism. What they did is they tricked me into going down there to help them catch a spy,” says Kiriakou. Kiriakou, who now hosts a radio show for Sputnik International and works as an advocate for whistleblowers, was indicted on April 5, 2012 on five charges related to the disclosure of classified information, including the identities of covert CIA officers. Kiriakou, who notes that he is the only CIA officer to face any charges related to the illegal torture program, initially planned to take his case to trial. But he says that the financial strain and a threat of decades in prison convinced him to accept a plea deal. He was sentenced to 30 months in federal prison on Jan. 25, 2013 after pleading guilty to leaking classified information to journalists. Three espionage charges initially filed against him were dropped. He was released from prison on Feb. 3, 2015, after serving a 23-month sentence. Strzok has since been fired from the FBI over text messages that he exchanged with FBI attorney Lisa Page. 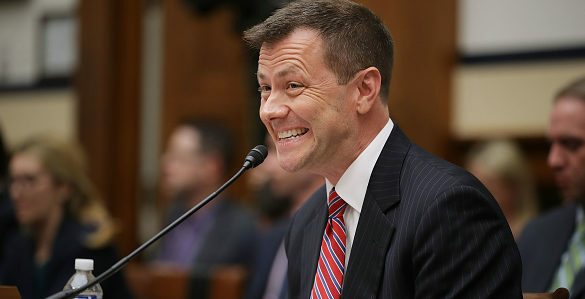 The messages showed a deep animus towards President Donald Trump, including one in August 2016 in which Strzok told Page that “we’ll stop” the Republican from becoming president. Kiriakou is unable to hide his satisfaction at Strzok’s sudden downfall.